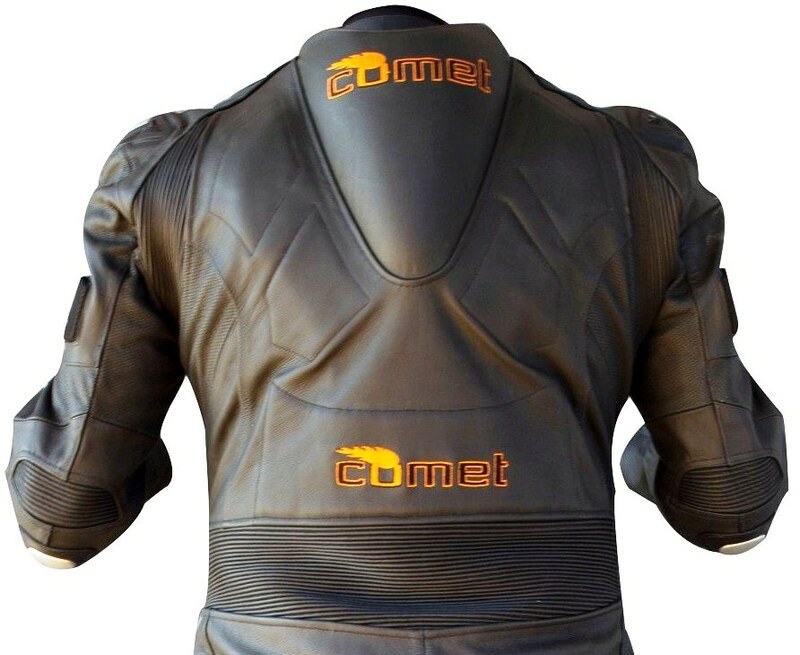 The Comet Edge Pro CKR- 1 Custom leather Motorcycle Racing suit is constructed of the finest premium Drum dried Cowhide 1.3 mm or Kangaroo 1.1 mm leather. The main advantages of 1.3 mm cowhide Kangaroo leather for a motorcycle suit include it is extremely durable, soft for relaxed fit and also extremely resistant it is to abrasion. Tailor your suit exactly to your body for only 10% more! Order in the next month and get a free NOMAX Fire proof liner a $200 value absolutely free for limited time AS Long as you friend on facebook and tell eveyone how cool it is!!! !- just mention it in comments box on the design page.... We will prove it to you!